Prada's sandals embrace the season's barely-there footwear trend in such a timeless way - we guarantee you'll reach for them not just this summer, but every one after, too. 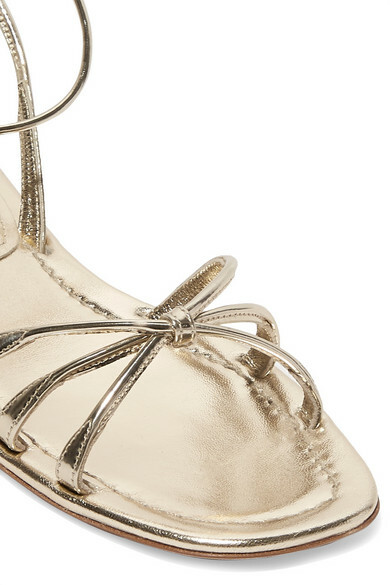 They're made from lustrous gold leather and neatly knotted at the front. Try them with everything from mini skirts to cropped jeans. 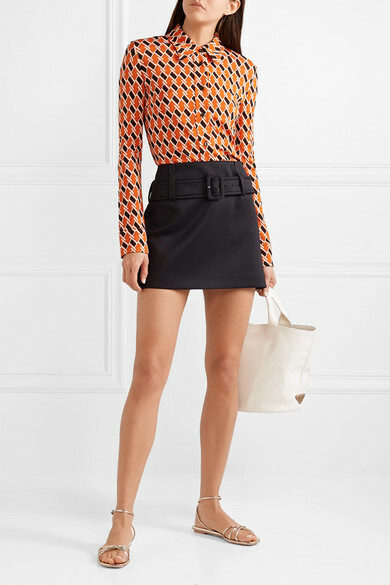 Shown here with: Prada Shirt, Prada Skirt, Prada Tote.